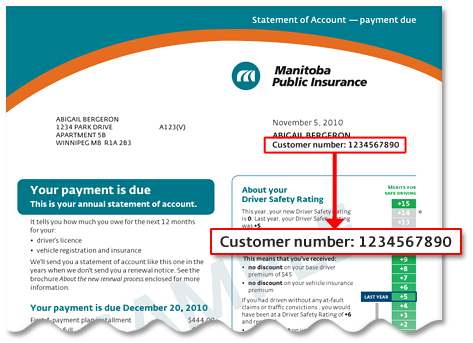 If you do not have a valid Manitoba driver's licence or identification card, but you do have an Autopac insurance and registration policy, you need to provide your customer number to confirm your identity. 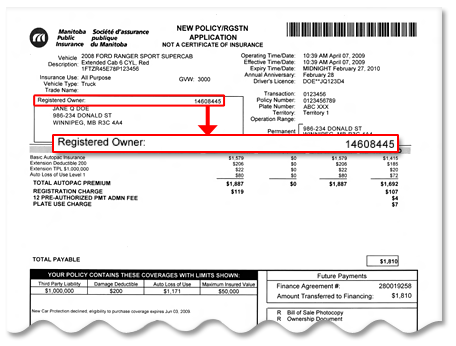 Your customer number is located on the first page of your new or renewal policy registration application. In the example below, the number is outlined in red. Your customer number is located on the first page of your renewal notice or statement of account. In the example below, the number is outlined in red. 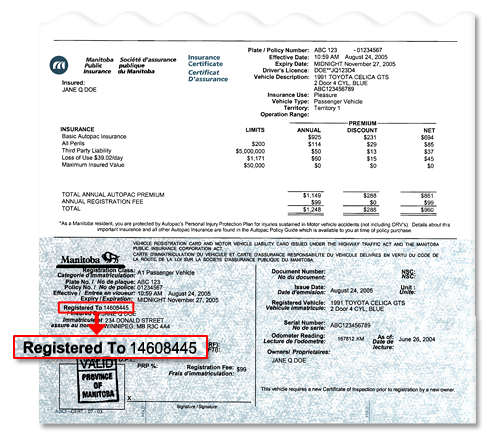 Your customer number is located on your vehicle registration certificate. In the example below, the number is outlined in red.